Some 21 traffic police officers are facing possible demotion or dismissal for extorting money from motorists traveling through the province during the week-long Idul Fitri holiday. The police officers were detained after they were caught red-handed collecting money from drivers and motorists. The policemen have been questioned since Wednesday. “The harshest punishment would be dismissal,” Lampung Police internal affairs chief Adj. Sr. Comr. Maman Rachman said on Friday. He said the sanctions would be decided by the disciplinary councils in the officers’ precincts. The 21 policemen come from different precincts — five from West Lampung, six from Central Lampung, three from Bandarlampung, five from North Lampung and two from South Lampung. According to Maman, he has ordered close supervision of traffic police officers in response to increasing complaints of the rampant extortion of motorists and people traveling to their hometowns for the Idul Fitri holiday. “We urge the people to come to us and report policemen who extort money from motorists,” he said. Earlier in July, the Lampung Police dismissed 12 policemen for indisciplinary acts, including seven for drug abuse. In August, six other policemen were dismissed for similar violations. Extortion is common practice among traffic police along the Trans-Sumatra Highway in the province. Truck and bus drivers have often complained of extortion. The drivers said that they paid at least Rp 600,000 to police and military officers, traffic policemen and weigh bridge personnel when they passed through the province. Effendi Silaban, a 30-year-old truck driver, said there were 11 spots where drivers had to pay illegal fees between Bakauheni seaport in Lampung and the South Sumatra border. “The drivers are asked to pay between Rp 20,000 and Rp 100,000 depending on how clever they are when negotiating with the corrupt security and government officers,” he said. According to Silaban, during the holiday he paid Rp 200,000 to a traffic officer from the local transportation office, Rp 300,000 to policemen and Rp 100,000 to other authorities. 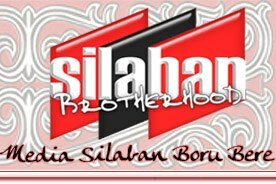 “The police stopped us between 5 a.m. to 7 a.m., so we called it the predawn attack,” Silaban told The Jakarta Post. He added that policemen in Banten and other parts of Java were more polite than those in Sumatra.